So this is pretty cool of WordPress. I think I need to upload some new pictures, soon. Thanks to everyone who visited / commented. Have a great 2012! This is about as bad as my morning commute gets all winter long. 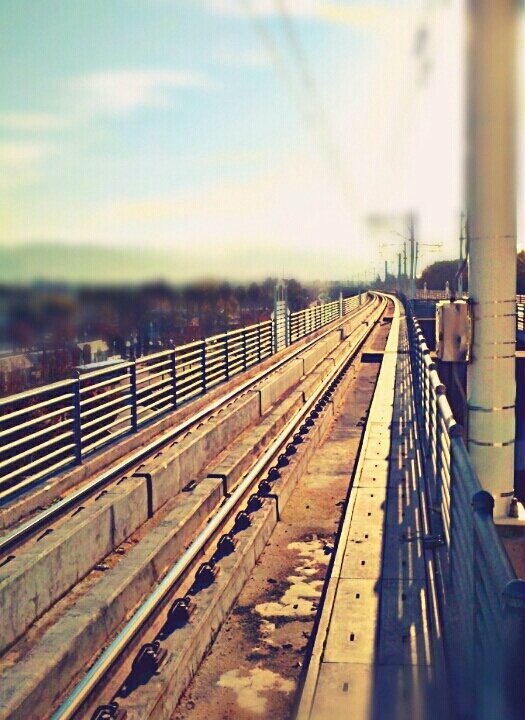 For 5-10 minutes I have to wait for the Light Rail high up in the sky and endure the morning breeze in 35 degree weather. I hear it’ll start raining soon, too, so that might make things a little worse. However, this is nothing compared to what I have been used to for the past 22 years of my Michigan-based life. I’ll happily endure the outside elements of California all winter long for 5-10 minutes each day. It’s much nicer than the daily Michigan winter grind of freezing cold temperatures, mountains of snow and the unpredictability of car engines in cold weather. 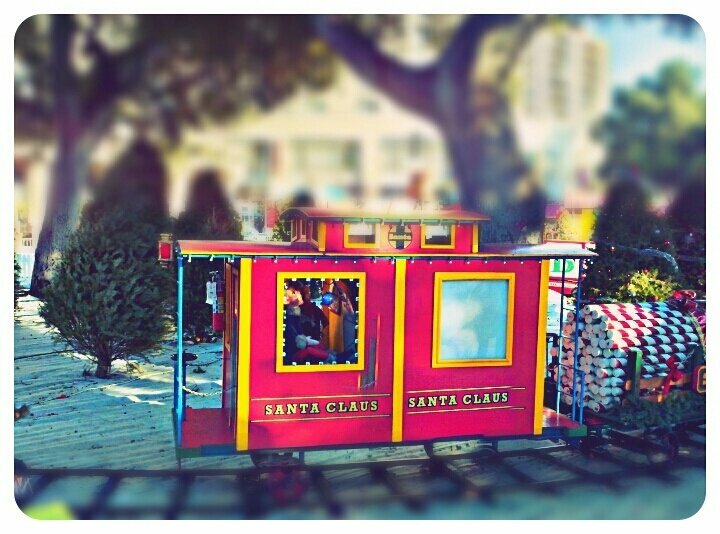 I took this picture at Christmas in the Park in downtown San Jose on December 1st. It was 71 degrees out. It didn’t feel right to me at all, I mean, it looked and felt like the middle of summer and there was a whole Christmas exhibition setup downtown complete with “Winter Wonderland” blaring from the speakers. Don’t get me wrong, I love the amazingly warm weather, but Christmas just isn’t Christmas without the cold weather and snow. I guess that’s why they try to simulate it with all the tacky white plastic sheets they put on the ground and the fake snow falling from light posts, though. It’s weird, because I never much liked the concept of Christmas that much anyway. But now that I’m on the verge of experiencing my first Christmas without snow, family and friends — I miss it. A lot. And I kind of love this picture. Even if it is all fake. You are currently browsing the Peregrine Platform blog archives for December, 2011.